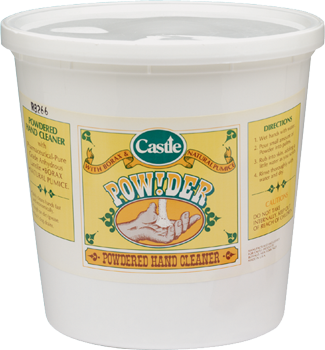 Castle® Powder Hand Cleaner is formulated with a blend of rich soaps, borax, pumice, and lanolin. It cleans ground-in dirt and grime that builds up from a hard day’s work. 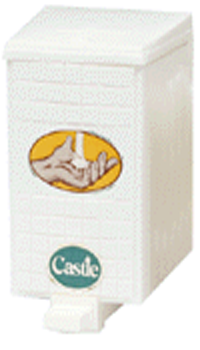 Lanolin has been added to protect the hands. 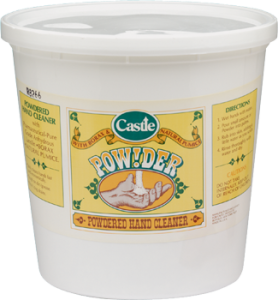 Castle® Powder Hand Cleaner is built of natural, biodegradable products that dissolve easily and will not clog the drain. 1. Wet hands and pour a generous amount into palm.